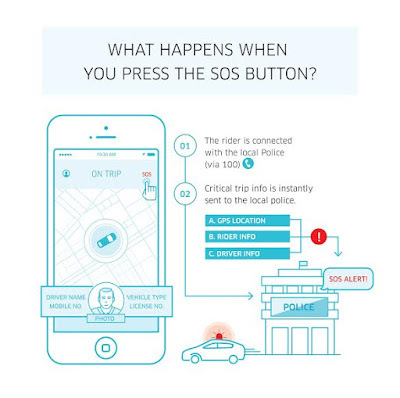 I recently learnt that Uber in India has been using a "SOS Button" in the Uber app since April 2015. I have been trying to "reach out" (i.e. contact) the CEO General Manager of Uber for Southern Africa, Alon Lits, but he's a difficult guy to get hold of. Tweets to @Litsvinnig on Twitter have been ignored. That's somewhat ironic, since "vinnig" is the Afrikaans word for "fast". Did you mean to contact Uber support? If so, would you mind providing more information on how we can help? We'll be happy to look into it and do what we can to help sort things out. Alon Lits is the CEO General Manager of Uber South Africa. I have been trying to contact him about some questions relating to the safety of passengers and drivers, and he stubbornly refuses to reply via Twitter, and there is no phone number I can call him on, and no email I can contact. I would be most grateful if you could supply me his contact details. Thank you for reaching out. My name is Jemma and I am a Senior Support Specialist here at Uber. This issue has been escalated to my attention and I am keen to address your concerns here. Unfortunately I cannot provide direct contact information for Alon. I'd be more than happy to address any query that you may have regarding rider or partner safety. If you'd like to forward me your questions, I'll get back to you as soon possible. I'll keep a look out for your response. If I don’t get feedback from him or someone official at Uber South Africa by the end of the month I am taking Uber to the Advertising Standards Authority for misleading and deceptive advertising. 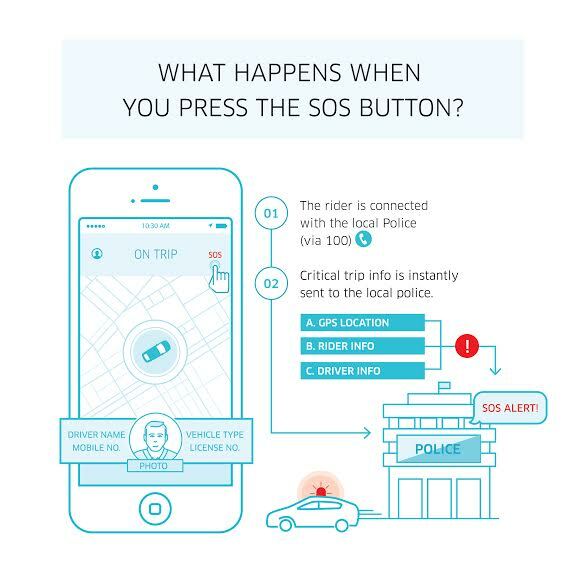 Uber has had a “panic button” facility in India for 18 months, yet NOTHING has been done about it here. In the meantime, several drivers and passengers have been attacked by Meter Taxi drivers or their comrades, and there have been muggings and rapes of passengers. Do you honestly think that Uber customers should just passively sit back and wait another 18 months for Uber to decide what to do? You may be content to sit around in the relative safety of California, but I can assure you that like in Africa is a little bit more dangerous. So kindly stop patronising me and pass this on to Alon Lits, the CEO General Manager of Uber SA. I suggest you read my blog article too. Maybe you will spot a few obvious problems with the Uber system. If they’re obvious to me they should be obvious to your development team too. In true "big corporate who doesn't give a **** and is happy to take my money if I don't complain" style, I haven't heard a word. But I know Alon reads his Twitter feed, because he retweeted an Uber South Africa birthday announcement. So we get cupcakes on Friday, but we run the risk of being mugged and/or raped every time we use their service. Life in South Africa is truly weird. Alon, when you eventually find this blog post, please give me a call or send me an email. My contact details are on this page. Update 28 September: Alon, when you do a TV interview, it's a good idea not to stonewall and be evasive. Unless you know you're guilty and in big trouble, of course. And those Uber receipts aren't the kind of thing you can deny. Interview posted here. @donnedwards Hi Donn, please could you send me a DM with your contact details? I'd like to get in touch. Thanks. Uber Safety: You're on your own | Uber Stonewalling: Earth calling Alon Lits | Uber Safety: It gets worse | Uber Customer Service: Don't call us, we'll call you.